The life if Ezio is still full of adventure, intrigue and danger. 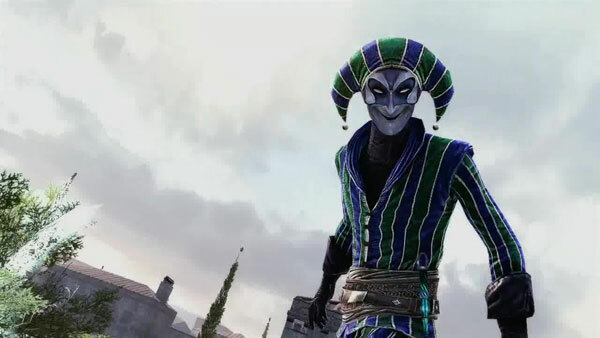 The Master Assassin is back in Ubisoft’s Assassin’s Creed: Brotherhood. The ongoing struggle against the Templar order brings us to Rome itself. 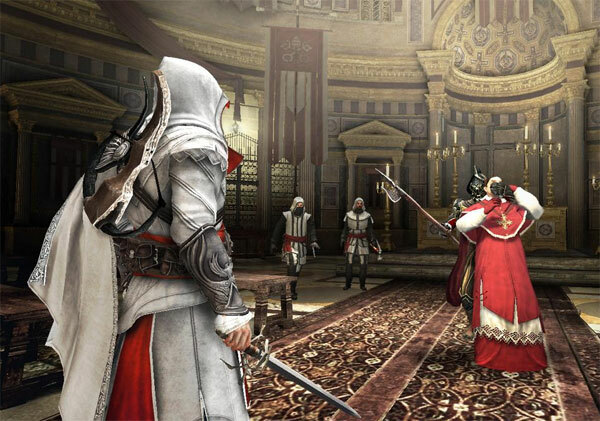 The very centre of corruption, greed and power plays, Ezio strikes at the very centre of the enemy. While playing long stretches of the game can get to be a repetitive affair, thankfully what made the other games in the series come alive is back and slightly enhanced. 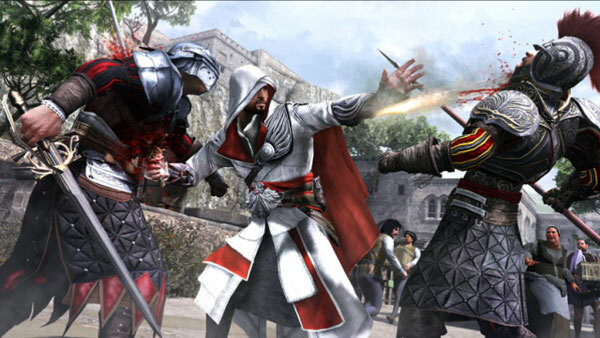 This time around, Ezio does not have to face the enemy alone or with the occasional allies. No, this time Ezio commands an entire Brotherhood of Assassins. Coolness abounds. The cash cow that is the Assassin’s Creed series is thundering along just fine. While I really do love the series, I was concerned it would be nothing but regurgitation of Assassin’s Creed II. . Almost as if this was meant to be a Downloadable content and then it was decided, hey, we have enough here to just make an all-new game. Let’s go ahead and tweak it a bit and throw in a little of this and a little of that and oh yea some thing that will make multiplayer gaming get that paranoiac feeling that someone is out to get you….and ta- da…. you have Assassin’s Creed: Brotherhood. 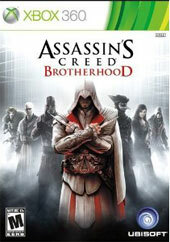 Nothing can be farther from the truth, Assassins Creed: Brotherhood is another power house in the game series. The continuing story of Ezio is an interesting affair. It brings us another layer of story telling to a character that is a bit more complex than just revenge. Happily, it is yet another spectacular addition to the series, and oh, so much more than what a DLC would have been. Bouncing back and forth between the memories and the here and now, keeps things fresh. Desmond Miles gets to get some of his acrobatic and climbing skills on and it is a blast. Even with some of the animations being extremely repetitive. So ok, here are some of those tweaks. Ezio has the ability to become a land developer so to speak… and community revitalization entrepreneur. (I am being sarcastic here but in a good way.) Rome is full of abandoned and run down shops and buildings. The player can purchase them, such as tunnel systems, which in turn can assist in getting around the city faster. Purchase stores and or banks to assist in bolstering the characters money flow. Rome itself seems so grand; making your explorations around Rome a grand tour... the rooftops, tunnel systems, and some cool pulley systems to get to the top of buildings faster makes things all the more fun. The city is alive and is a full-blown character here. Just as past adventures, the city has its populace to help or hinder you. From prostitutes, beggars and various others…the city while generic at times with some of the same types of characters in an area, still feels alive. Even with the adventure staying only in the City of Rome, you never feel short changed, Rome is vast and lots to explore. The game play is familiar ground and if you have played the others in the series at all, you will be right at home in the control layouts. Fighting seems in some respects easier concerning button presses. The enemy AI though does make things a bit harder and will attack together as appropriate when they see an opening. The game play coupled with the spectacular cut scenes that relay the story, along with the diverse interesting cast of characters makes this another solid venture for UbiSoft. The voice acting here is again stellar; bringing an engrossing story and making you want to continue just to find out what happens next. For players that have not played the Second in the series, they may have a bit of a hard time catching up to what is going on in the story. …though the game designers have done a pretty good job at showing some flash backs to the story line to explain a bit about some of the events that have led up to this point in time and this new adventure. 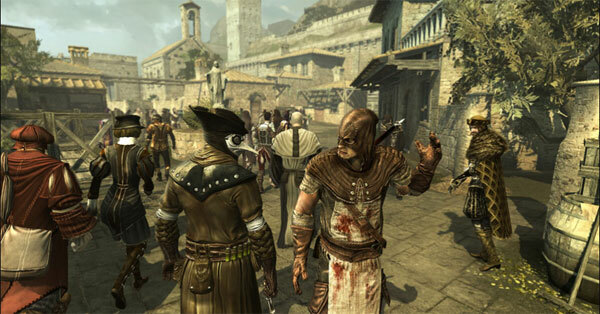 In addition, what I found rather fun was recruiting other Assassins and sending them out on missions. As you send them on different missions, their skill levels rise and they become deadlier tools of the trade. Going on missions the NPC character does also have a chance at being killed. You never see those missions, but you see the results in a game of numbers. When you need your trained killers though, a simple command brings them in for the kill. Combat seems allot smoother, with stringing attacks together easier now. Some of the takedowns even seem more brutal and no pun intended, to the point but with style. Using the machine known as the Animus, the player can take on virtual challenges that can earn them more experience and skill for the character. Some of the minor issues that crop up such as character pop in and guards that spot you from far away but then cannot seem to see you when your right in front of them cause you to scratch your head in wonder and play on. Any flaws in this Diamond are not enough to be a game breaker but AI quarks do keep you on your toes. 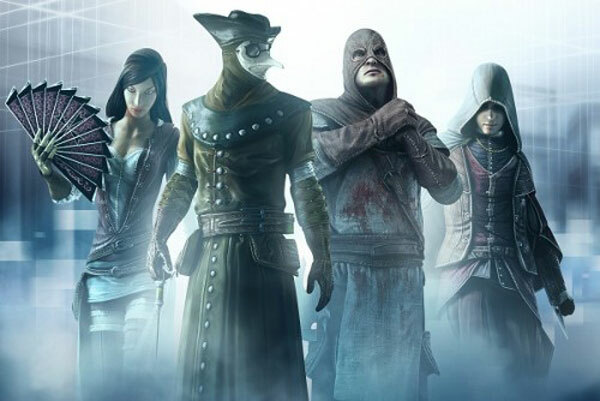 Some of the ace things added for Assassin’s Creed: Brotherhood is in multiplayer. Wanted and Advanced Wanted are death matches that are every one for themselves. Taking out an assigned target gives you points and even more points for doing it with stealth. The real trick of the game is to blend in and strike when it is least expected. Manhunt is for the most part team based death match, with players in two teams of three to four. Each team hunts the other. Out of any of the multi player modes, Alliance seems to depend on teamwork the most. There are three teams of two players each. Teams are the hunter of one team and the prey for the other team. Captivating and some real nail biters as you try your best not to stand out and let the opposition know you are the target….while you are trying to manoeuvre and find your target. Multiplayer here can be done with everyone running around in a free for all and of course, level of maturity of the player often dictates that. When you get a group of players going by the spirit of the game, the experience is claustrophobic, paranoid and just spectacular. Assassins Creed: Brotherhood some great gaming.